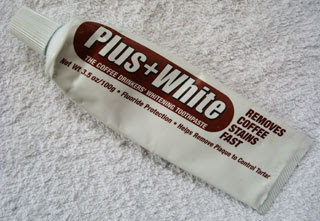 This is unique - a toothpaste for coffee drinkers. I'm that, for sure, so I had to try it. Color? Like the original Crest. Taste? Standard mild-minty. Rating? A pass. I didn't notice any change in my teeth color. But then, I'm not a "White Strips" user.